Fruitz watches are taking center stage these days. It’s no news that Philip Stein made a splash with Oprah last year, but their newest line, Fruitz is not going to be second best. Recently Academy Award winner and Golden Globe recipient, Reese Witherspoon was seen wearing a watch from the Fruitz watches line. This busy mom and actress don’t have time to let stress wear her down. She, like so many others are sold on the Fruitz Natural Frequency Technology. Fruitz watches are said to help even the busiest mom get to sleep and get a more restful sleep. The benefits are waking up well rested and ready to handle the busy day. Fruitz watches are also known for their incredibly comfortable straps and bands. They are easy to wear and their proprietary technology can help you to relax and enjoy your life. You don’t have to be a rich and famous Hollywood actress to own a Fruitz watch. These collections start at only $225 and come in many different flavors. So, no matter your station in life…a Fruitz watch might be in your future. Check out the entire line of Fruitz fun and fruity flavors at Fruitz.com…maybe you will end up better equipped to handle your day. Who is Michele Watches? Well, this brand is more than a watch company; it is a three generation watch making enterprise. Started by Maurice Barough, the company got their roots, as many watchmaker do, in Geneva. The experienced watch maker taught this trade to his son, Jack, who decided to move his family to the states in 1970 to set up shop. Jack’s daughter is Michele, the namesake of the popular brand, as well as the creative force behind the styling of the collection. The very first Michele watch was named the CSX Diamond, and that was only the beginning. Many more phenomenal creations would come from these entrepreneurs. The success behind the brand is largely due to their philosophy. At Michele, the focus is on quality first. Understanding the components and the craftsmanship that must go into a high quality timepiece is the foundation from which they work. The fantastic style is just the wrapping on the present, but what beautiful wrapping. Michele watches offer women a feminine, yet really contemporary timepiece that can be changed up with interchangeable straps in many different designs. The concept is forward thinking and modern and has been well received by their clients. 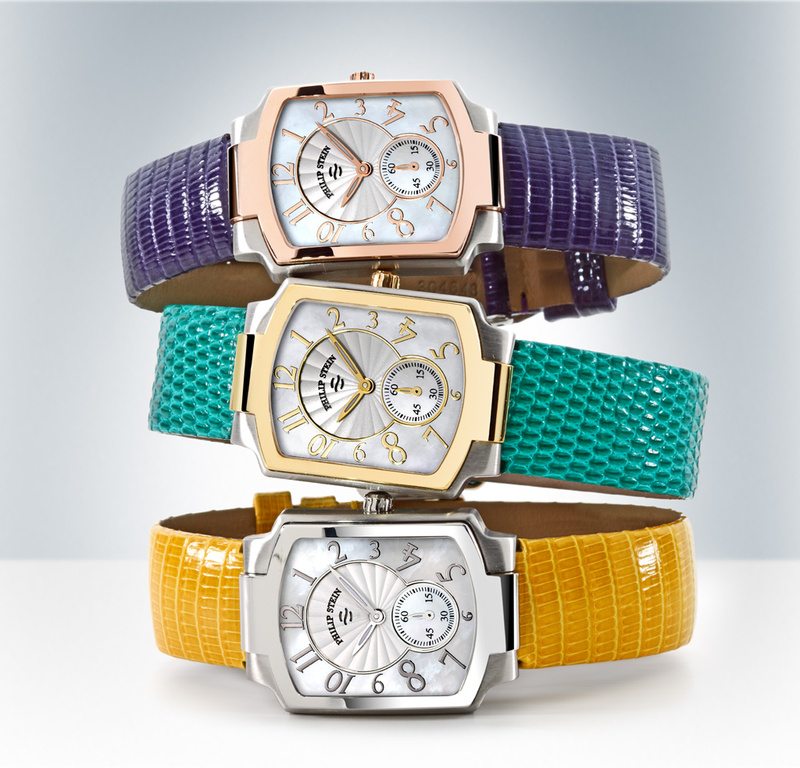 When you buy a Michele watch, you get quality, integrity, and great looks. Sure, we have all been affected by the strained economy. We have had to make significant changes in our lifestyles and our spending, but at the end of the day the hope is that the economy will come back and we will be an even better position, when it does, because of the adjustments we have been making. Movado is not ignoring this issue, either. In the past few years they have been redirecting their efforts in order to remain a strong viable watch company and offer their consumers quality products at reasonable prices. Movado has closed all but just a few of their boutiques, and sell most of their watches through the internet and third party retailers. In addition to these changes, Movado recently announced a comprehensive multiyear plan, which will hopefully bring more success to the brand. Capitalize on their excellent reputation. Continue to be an innovative force in the industry. Movado is not panicking through this era; they are keeping their nose to the grindstone and their eyes on the prize. 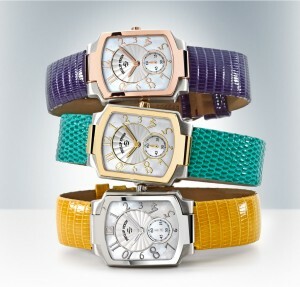 At the beginning of this year Philip Stein added a fun and fruity collection to their ensemble. The Teslar technology, which enhances all of the Philip Stein timepieces has taken a new presence and is demonstrated in their line of Fruitz watches. The Fruitz line, offers Stein’s Natural Frequency Technology, which reports some fantastic health benefits. 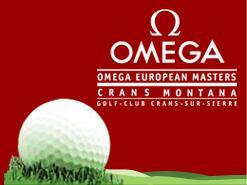 Because of the company’s widespread popularity among celebrities and consumers alike, their organization has expanded into Europe. The demand has been high, because of the styling and the health perks. Philip Stein and Fruitz watches are not only stylish and well made; they are quite revolutionary in design. Philip Stein is the first to use Natural Frequency technology in this way and to incorporate time keeping with well-being. The Fruitz watches add fun, as well. Fruitz are styled like fresh cut fruit, with matching colors and whimsical accents. All the Fruitz watches are Swiss Quartz and all are offered at truly affordable pricing. Philip Stein is fast on its way to becoming one of the most sought after luxury brands, but you can pick up a Fruitz watch for a fraction of the cost, and still get all the benefits of Natural Frequency technology. Either way, you can’t go wrong. You certainly don’t have to search through archives of photos to locate a pic of a Gucci watch. Open up any fashion magazine on the stand, and you can find any number of celebrities sporting gorgeous Gucci watches. For some designers, this is advertisement, enough, yet not for Gucci. The famous fashion house made a bold move, and decided on using 50 year old black and white prints from the Gucci archives in their 2010 spring ad campaign. The ads feature Vera Grafin von Lehndorff-Steinort, or Verushka for short. The throw-back photos show Verushka in various settings, always looking chic and timelessly elegant. The look of the photos translates, and is significant, today. Gucci superimposes their watches and logo over the photo, giving an interesting and contemporary feel to the shots. Even though Verushka is selling the Gucci watches in the forefront, she is head to toe Gucci in the back ground. 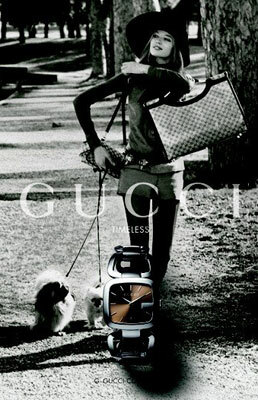 From her over-sized bag, to her small over the shoulder and her large-rimmed floppy hat…she’s been Gucci-fied. Creative art director, Frida Giannini is the brains behind this campaign, and I think it’s brilliant. The photos are as beautiful as when they were originally taken, and the look is timeless. 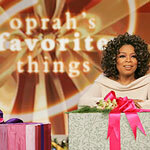 Most of us have seen the episodes, where Oprah is singing the praises of Philip Stein watches. Her “my most favorite things” spots are the most widely televised, and she has mentioned these watches not once, but twice on these popular broadcasts, but who else is wearing Philip Stein? What other celebrities are feeling the effects of their Natural Frequency technology? Let’s see: It seems as though Philip Stein has fans like Rupert Murdoch to young guns, like Aaron Carter, and the list goes on. 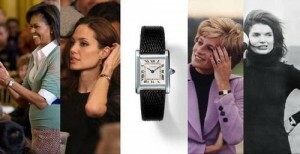 Recently journalist, Cynthia McFadden was spotted wearing a Philip Stein watch, while interviewing Paula Abdul. 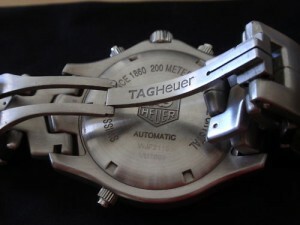 But, why is this watch maker drawing such high profile attention? Well, their designs are stylish, that’s true, but the attraction, I believe is under the hood. Celebrities (and the rest of us, for that matter) love to feel special and different. Philip Stein watches offer a unique and interesting feature, which is noticeable to the wearer of the watch. If this watch can bring about better sleep and a calmer demeanor, who wouldn’t want one? The draw may be due to the specialized nature of these watches, but their continued popularity may have more to do with good, smart, marketing, and great customer service.